Often described as the most phenomenal Jewish personality of our time, “the Rebbe,” as he was (and continues to be) reverently referred to by millions of followers and admirers around the world, radiated hope, motivation and encouragement in an era often rent with confusion and despair. The Rebbe was seventh in the dynastic lineage of Lubavitch leaders, which began in the 18th century with Rabbi Schneur Zalman of Liadi (1745-1812), author of the basic work of Chabad philosophy – Tanya, and the Shulchan Aruch [HaRav] – Code of Jewish Law. The Rebbe was born in Nikolaev, Russia, on the 11th day of Nissan, 1902, to Rabbi Levi Yitzchak and Rebbetzin Chana Schneerson. The Rebbe’s father was a renowned Kabbalist and Talmudic scholar. The Rebbe’s mother was an aristocratic woman from a prestigious rabbinic family. At the age of five he moved with his parents and two brothers to the Ukrainian city of Yekatrinoslav, now Dnepropetrovsk, where his father was appointed Chief Rabbi. From early childhood the Rebbe displayed a prodigious mental acuity and soon had to leave the cheder [grade school] because he was far ahead of his classmates. His father engaged private tutors for him and, after that, taught him himself. By the time he reached his Bar Mitzvah, the Rebbe was an illuy, a Torah prodigy. He spent his teen years immersed in the study of Torah. The Rebbe met the sixth Lubavitcher Rebbe, Rabbi Yosef Yitzchak Schneersohn, in 1923, in Rostov, Russia. In December, 1928, the Rebbe married the late Rebbetzin Chaya Moussia (1901-1988), second daughter of Rabbi Yosef Yitzchak. The wedding took place in Warsaw, Poland. The Rebbetzin is well remembered for her exceptional erudition and compassion, yet unpretentious and humble demeanor. Later the Rebbe studied at the University of Berlin and attended lectures at the Sorbonne in Paris. It may have been there that his formidable knowledge of mathematics and the sciences began to blossom. On Monday, Sivan 28, 5701- June 23, 1941, the Rebbe and the Rebbetzin arrived in the United States, having miraculously escaped the Nazi onslaught. His father-in-law, who had arrived in the United States a year earlier, appointed him to head his newly founded organizations: Merkos Linyonei Chinuch, the educational arm of the Lubavitch movement; Machne Israel, the movement’s social service organization; and Kehot Publication Society, the Lubavitch publishing house. Shortly thereafter the Rebbe began writing his scholarly notations to various Chassidic and Kabbalistic treatises, as well as a wide range of Torah responsa. With publication of these works his genius was soon recognized by scholars throughout the world. After the passing of Rabbi Yosef Yitzchak Schneersohn on the 10th of Shevat, in 1950, Rabbi Menachem M. Schneerson ascended to the leadership of the flourishing movement [one year later]. Motivated by a profound love for the Jewish people, the Rebbe launched an unprecedented program to bring Judaism to every individual Jew, wherever he or she may be. Inspired by the Biblical mandate: “And you shall spread forth to the West and to the East and to the North and to the South” (Genesis 28:14), the Rebbe established a corps of shluchim (Lubavitch emissaries) and charged them with establishing Chabad-Lubavitch centers in every corner of the world. These dedicated men and women reflect the commitment of Lubavitch to the entire Jewish people. It is no wonder that, for many communities, Chabad-Lubavitch, with its vast array of educational and social service programming, has become the central address for all matters Jewish. In his years as leader of Chabad-Lubavitch, the Rebbe established Chassidism not as one of the limbs, but as the heart and life of Judaism. Indeed, many of the Rebbe’s innovations are so deeply ingrained in Jewish life today that they often are no longer identified as Lubavitch in origin. Today, [over 3,500] Chabad-Lubavitch institutions span [more than 85] countries on six continents. These educational and social-service institutions serve a variety of functions for the entire spectrum of Jews, regardless of affiliation or background. Programs geared to humanitarian endeavors reach out beyond the Jewish community, to all people. In Israel, the “Chabadniks” are particularly endeared to all. Their programs reach all segments of the community, and they enjoy the respect of the population, regardless of affiliation. Kfar Chabad, the Lubavitch city near Tel Aviv, is headquarters for Lubavitch there. Kfar Chabad’s unique educational institutions and outreach facilities have become a lifeline for thousands upon thousands of Israeli citizens. From the soldier stationed on the front to the farmer on the kibbutz, feelings of veneration and respect for the Rebbe run deep, as all have benefited in some way from his concern. It was in Russia that Chabad-Lubavitch was born more than 200 years ago, and since then nurtured there by its Rebbes in each generation. A history of heroic, clandestine efforts by Lubavitch kept Judaism alive under the most oppressive and excruciating circumstances conceivable, before and especially after the Bolshevik revolution and during the Communist regime. When the Soviet Union crumbled, Lubavitch emerged from the underground and the work continues publicly unabated. The Rebbe’s emissaries have established [well over] 200 institutions for Jewish learning and humanitarian aid throughout the FSU [Former Soviet Union]. Under the Rebbe’s guidance, the Lubavitch publishing house, Kehot Publication Society, became the largest Jewish publishing house in the world, publishing and distributing millions of books, pamphlets, cassettes and educational materials in Hebrew, Yiddish, English, French, Spanish, Italian, Russian, Portuguese, Arabic, Farsi, Dutch, Swedish and German. The central library and archive center of Agudas Chassidei Chabad-Lubavitch, at the Lubavitch World Headquarters, is one of the world’s most precious repositories of Jewish books and literature. The library captains a vast collection of rare books and manuscripts. The American Jewish day-school system, initiated and pioneered by Lubavitch in the 1940′s, has displaced across a wide spectrum the once-prevalent ideology that Jewish education was a dutiful appendage to the real business of acquiring a secular education. Jewish day schools have since become accepted and desirable even to those who opposed it then. This, as well as the outreach programs of Chabad-Lubavitch, have served as a guide for others to emulate. From full-time yeshivas for Jewish men and women with little or no background in Torah study to literally tens of thousands of classes at Chabad-Lubavitch centers and synagogues around the world, the Rebbe’s inspiration is the vital life-force behind an outreach process that has affected the entire spectrum of Jewish life. His widespread Mitzvah and holiday campaigns, and the innovative Mitzvah Mobiles, have raised the awareness of Jewish life and Jewish practice among millions of Jews, motivating them to explore and to examine their identity. From Hong Kong to Tel Aviv, Budapest to Chicago, through the many Lubavitch schools, youth centers, institutions, agencies and activities established and maintained through the Rebbe’s efforts, countless Jews have found their way home. There is a story told about the Rebbe’s early life that seems to be almost symbolic of much that was to follow. When he was nine years old, the young Menachem Mendel dived into the Black Sea to save the life of another boy who had fallen from the deck of a moored ship. The sense of other lives in danger seemed to dominate his conscience. People “drowning” and no one hearing their cries for help; children deprived of a Jewish education; young Jews on campus; families in isolated communities, under repressive regimes – all in need of help. The Rebbe is a systematic and conceptual thinker on the highest level. His unique analytical style of thought resulted in a monumental contribution to Jewish scholarship. His brilliant approach to the understanding of the classic Biblical commentary of Rashi, for example, revolutionized Bible study. More than 200 volumes of his talks, writings, correspondence and responsa have been published to date. The Rebbe’s comprehensive knowledge in all spheres of intellectual pursuit, from science to medicine to mathematics, was astonishing. Yet, for all this scholarship, the Rebbe consistently taught that intellectual understanding must bring to action and good deeds. The Igrot Kodesh series, a chronological collection of the Rebbe’s correspondence and responsa, is now in the midst of publication. Volume  has recently been published, and brings the total of letters published to more than 10,500. The breathtaking sweep of topics covered in these letters encompasses every sphere of interest, and every field of human endeavor. They range from mysticism, Talmud and Chassidic philosophy, to science and world events, and offer guidance in personal matters, education and social and communal affairs. The writings in these Igrot Kodesh shed some light on the Rebbe’s genius and the success of Lubavitch under his leadership. His correspondents include Rabbinic scholars and statesmen, homemakers and educators, chief rabbis and Bar/Bat Mitzvah youngsters, scientists and laborers, communal leaders and laymen. It is a veritable treasure chest of profound Rabbinic, Talmudic, Kabbalistic and Chassidic teachings, exuding encouragement, inspiration and direction, reflecting the Rebbe’s remarkable insight into the human psyche. It is perhaps the case that his fame as a leader and innovator of widespread mitzvah campaigns and communal projects is a result of his originality as a thinker, and his ability to unite the conceptual with the pragmatic. Essentially, with the Rebbe these two facets are one – the comprehensiveness of his thought and action are part of the same drive: the unity of Torah, the unity of the Jewish people, the unity of all mankind in fulfilling the ultimate purpose of creation. Responding to the demands of the time, the Rebbe reached out beyond the Jewish community with a universal message to all peoples of the world. The Rebbe consistently called for greater awareness of the crucial importance of education for all mankind. The Rebbe stressed that the goal of education is not just to provide a child with information, but more essentially to develop a child’s character, together with his intellectual ability, with emphasis on moral, spiritual and ethical volume. Only such an education will guarantee a generation of people who will abide by fundamental human rights and societal obligations. The Rebbe maintained that modern, [including] secular man has an enduring need for moral values and a religious philosophy by which to live. He would often speak of the obligation of all humankind to adhere to and live by the Seven Noahide Commandments – theuniversal code of morality and ethics, given to all at Sinai. This, the Rebbe insisted, is of the utmost necessity to bring sanity and stability to a perplexed world. 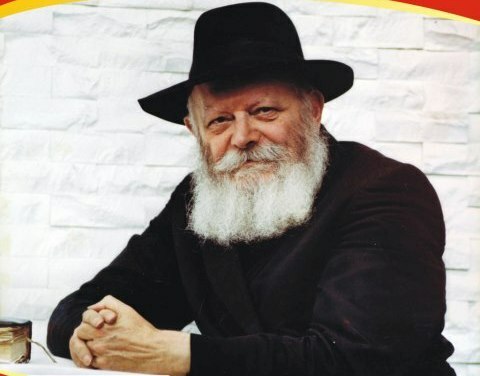 The Rebbe’s brilliant insight into the human experience and world events, his genuine compassion for others, his strong leadership and his profound, endless flow of genius, made him a legend in his lifetime, and won him the admiration, respect and awe of all who came to know him. 5742 (1981-2): … Calls for utterly extraordinary efforts for disseminating [teachings of] Chassidut, and the Chanuka campaign. …Calls attention to the urgency of bringing “Operation Peace in the Galilee” (the Lebanon war) to a swift conclusion, thereby avoiding further victims on both sides. 5743 (1982-3): Urges that all peoples of the world — the “Children of Noach,” be influenced to practice the Seven Noachide Laws that apply to them. Urges enacting a “Moment of Silence” at the start of the day in [public] schools throughout the world, so that youth be aware of the “(Divine) Eye that sees and Ear that hears.” In accordance with this, suggests signing a petition to leaders of the American people (and of all other nations) about the great urgency of such legislation, and also a petition about the urgency of government assistance to parochial schools. 5744 (1983-4): … In light of the shaky world situation, calls for additional prayer, suggesting that all Jews (regardless of their customary prayer-text) say before morning prayers “Hareini Mekabeil” … and, after each of the three daily prayers, the verse [Psalm 140:14]: “Ach Tzadikim…” ["Indeed, the righteous will extol Your Name; the upright will dwell in Your presence."] Establishes a senior Yeshiva in Johannesburg, South Africa. … Declares that every Jew is capable and obligated to demand that God immediately bring the true, total Redemption through our righteous Moshiach. 5745 (1984-5): Calls on women and girls, both Jewish and non-Jewish, to vigorously urge speedy introduction of a“Moment of Silence” [in public schools]… Calls for Jewish children to be enrolled in Torah-observant summer camps and then in Torah observant Jewish schools (repeating this annually). Proposes that whenever Tehilim [Pslams] are recited, donations should also be made to charity. On 11 Nissan starts distributing dollar-bilIs to every individual, continuing this regularly every Sunday…. Calls for an extra increase in Torah study ["Zion will be redeemed by justice..."] during the Three Weeks and especially in the week of Tisha B’Av [the day when the 1st and 2nd Holy Temples were destroyed], particularly study of practical Torah laws (Halacha) and especially those relating to the Beit Hamikdash [Holy Temple], and also for an extraordinary increase in charity [" ... and those who return to her (Zion) through charity"]. Proposes that Yeshiva students be tested periodically to examine their standard of Torah learning and erudition and that everyone else — men, women and children — fulfill the directive of the Mishna (Avot 1:6,16): “Appoint for yourself a Rav” (Rabbi, teacher or spiritual guide), occasionally meeting with the “Rav” for “examination” of their level of Torah study, service of God etc…. On eve of 28 Nissan announces that every Jewish man, woman and child has the responsibility to increase service of God in order to actually accomplish the bringing of our righteous Mashiach; in order to bring about the immediate revelation and arrival of the Mashiach, everyone should increase Torah study on subjects of Mashiach and the Redemption, preferably in groups of ten or more, and obviously also increase careful observance of Mitzvot, in particular taking special care in the Mitzva of charity “which brings the Redemption closer,” all this to be accompanied by great expectation and yearning for the Redemption; all these endeavors are not only a “segula” (auspicious act) to speed Moshiach’s arrival and bring it closer but also, and more essentially, in embodiment of beginning to “live with the times” in subjects of Moshiach and the Redemption. On 15 Iyar … after Maariv, distributes to everyone individually a special edition of “Dvar Mal’chut” containing four of his addresses explaining Laws of Kings, “Laws of the King Mashiach” in Maimonides’ code, on themes of the Redemption, together with a dollar for charity.